This week the newest podcast I have been indulging in on my daily commute to work "This Week In Travel" had on a guest Wendy Perrin. For two decades Wendy worked for Conde Nast Traveller, a leading magazine covering luxury travel. She explained on the podcast as Conde Nast headed in a different direction she left the company to work on her own website www.wendyperrin.com. Although I certainly sell luxury travel in my job as a travel agent, in general it is not my personal field of interest much preferring to find good value and get the biggest bang for my buck. So as I was listening to Wendy I was under the assumption that it was only of vague interest. That is until she mentioned her WOW list. After having a read through her WOW list on the website I was WOW'd. So this is a large list of travel industry experts (travel agents, essentially) that have built up a speciality in a particular destination. Their contacts and knowledge offer consumers access to unprecedented knowledge and resources. Being a travel agent this fascinated me. 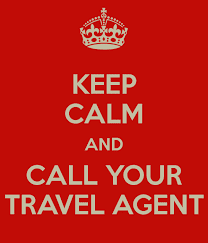 Ever since the advent of internet booking engines, travel agents seem to have been holding their collective breaths waiting for the traditional bricks and mortar travel agencies to crumble. I will admit it was shaky for period for a few years there when the rates released for travel products online were unbeatable and we were falling behind. But out of no-where there was a huge turnaround. Wholesalers knew they had to re-invigorate their rates and contracts to survive and a wealth of new suppliers came into the market who discarded the format of brochures to cut costs and offer an entirely online database for agents to use with the specific intention to compete with the big guys online yet still maintaining the protections offered by booking with an travel agent. All of a sudden we were offering rates that were as good if not better than the internet and coupled with expert knowledge we were back in the game BAM! I am still not entirely convinced that the future won't take us the way of CD stores. The appeal of doing it yourself is attractive to the consumer but it only takes one burn to push them back into the arms of their ever knowledgeable travel agent. I can't tell you how many stories I have heard of people booking with bogus online suppliers, clients turning up to the airport without the minimum six months validity on their passports to depart the country, heading into the unknown without the correct visas or paperwork. The list goes on and on and I can't help but be a little smug that this all could be avoided by dealing with an expert. Wendy Perrin's WOW list excites my as it is not only a return to valuing what a travel industry expert can offer but it is going that one step further and taking "expert" to the next level. She calls these specialists "trip choreographers" and I love it! That is what we do. It is a detailed dance with suppliers and destinations that brings it altogether into a wonderful performance for you to enjoy...your holiday. The truth is, when it won't cost you much more or in many cases absolutely no more why would you not engage someone who has been where you want to go. They know the in's and out's of what to see and what to avoid. They know the legal requirements and they have contacts that are invaluable when the occasion arises of an emergency (and you may not think a volcano will cause all your flights to be cancelled or a major political incident to cut your trip short and leave you stranded) but you know what, it happens and it happens a lot. The WOW list does seem to be skewed towards the top end of the market, with Wendy's background in luxury travel that shouldn't be a surprise but stop by and check it out and consider what expertise you would value in booking your next adventure.